Michel Montecrossa - Cyberartist, Musician and Futurist came to Mira Alfassa - The Mother who is the spiritual companion of Sri Aurobindo, in 1969. She extended a warm and loving friendship to Michel Montecrossa. Out of this friendship many plans and the basic ideas for Mirapuri and Miravillage evolved. The Mother gave him a treasure of knowledge, informations and documents in the form of pictures, movies, recordings and writings. On her behalf Michel Montecrossa started the Filmaur Multimedia company with its divisions Mirapuri-Verlag (Publishinghouse), Mira Sound Germany and Miraprint and founded Mirapuri - the City of Peace and Future Man in Europe (Italy) with its first satellite Miravillage in Germany. Mirapuri and Miravillage are both independent and selfsupporting places where people from all over the world can, in accordance with The Mother's wish, live and work together to practise the Integral Yoga of Sri Aurobindo and The Mother and realize their Ideals of Peace, Goodwill, Human Unity and Progress. "When the work for Mirapuri and Miravillage started in 1970", says Michel Montecrossa, "I often had to travel through Europe. For this activities I received a signed fotograf by The Mother (the picture above) to accompany me. On this fotograf she looked very much the same way as she looked at me when I was with her. She explained that in each picture of her there is also the living psychic presence of her and so the soul can always be together with her and see her wherever the body might be. In fact one can even feel and come in touch with her subtle physical presence which gathers around the foto, and has its own independent life and way of acting. Since then I continously experience the truth of this fact and feel and see The Mother to be constantly with me." "On another occasion The Mother gave me a small envelop with her symbol printed on it and she said: 'These are my blessings. There are flowerpetals in the envelop and if you keep it near to you the contact with me will always be established and you can even get an answer to a question.' After that day she gave me many, many such blessing packets and everything she said proved to be true. Now life became very easy because whenever a question arises I get the answer from The Mother. She also said, that when she touches someone, her force stays with the person and will go to every one near to this person who is receptive enough. The Mother then touched me many times so that all who work with me might receive her force and blessings. Since then I can witness every day in me and in those who surround me the effects of the truth-action and help of the force of The Mother." "When she had asked me to produce the 'Meditations on Savitri' movie-series she said: 'I don't want to give him only blessings. I want to give him Special Blessings.' Then she asked someone to bring a box with a little, leather bound, book-like card in it showing two fotos of her and Sri Aurobindo. She kept this Special Blessing packet in her hands and for about half an hour went into a deep trance, projecting all that was necessary for the accomplishment of the work into it. After that the work began and while it was going on I was constantly experiencing how the Savitri paintings changed into living beings, disclosing their life and message, so that I could easily find the right way to transform it all into a movie. When the 'Meditations on Savitri' movie-series was completed I had grown not only into an expert on Savitri and the many stories and informations about its occult meaning, but knew that the realities and beings behind the images have become part of my soul. They go on living there and unfold and make always stronger the power of the New Consciousness of Future Man which, as The Mother said, is the true builder of Mirapuri and Miravillage." "The place for the foundation of Mirapuri was discussed and a certain place was suggested. The Mother said, although it seemed to be a suitable place it was better not to build Mirapuri there, as some problems will come to this place and impede the progress of Mirapuri. (Later I heard that the place which was suggested became a place for depositing radioactive materials.) She then indicated a place in north Italy and said: 'Build Mirapuri there.' When I asked how I should recognize the place she said: 'I will show it to you in the meditation.' Then I meditated and saw a landscape with distinct features. I made a painting of what I had seen, and when I traveled into the area The Mother had designated for Mirapuri, I soon recognized the special features of the landscape, I had seen in the meditation. I knew now where Mirapuri was to be built. I remembered also that The Mother had remarked, that Italy is a country which is receptive to the supramental force." "One day The Mother explained in a message the principles of the new education. When I asked, if these principles are not also the guiding lights for the new life in Mirapuri and Miravillage, as she wanted these places to be simple, sincere and free places, she said that they indeed are the guiding lights for Mirapuri and Miravillage: Truth, Harmony, Liberty." The art of Michel Montecrossa expresses itself through writing, poetry, paintings, digital art, mangas and cartoons, movies, music and architecture. An outstanding movie-work of Michel Montecrossa is the 'Meditations on Savitri' filmseries in 12 parts which he produced and directed on comission of The Mother and with her Special Blessings. Michel Montecrossa created by now more than 2200 New Style Music Songs and Instrumental-Symphonic Compositions. The orchestral work of Michel Montecrossa is outstanding, presenting itself through Modern Classical Symphonies, New Age Musicmeditations and futureoriented Cyber Electronica. 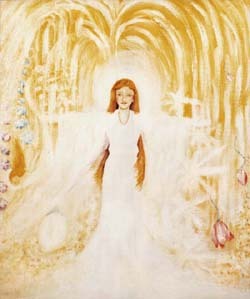 An important part of Michel Montecrossa's orchestral work is centered around fusion of Sri Aurobindo's poetry with music. Michel Montecrossa created 8 great symphonic compositions illustrating the epic poem 'Urvasie' of Sri Aurobindo. Each composition features several parts or images, each part including the recitation of relevant lines from the Urvasie poem and a musicmovement atmospherically describing the ongoing story. In the same way he took part in the creation of the Savitri musicmeditations of Sunil Bhattacharya as co-composer, producer and instrumentalist. Furthermore Michel Motnecrossa creates every year a special orchestral New Year Music which is performed on the 1st January of each year in the Auditorium of the Miravinci Meditationcenter in Mirapuri. His song music is centered around New Consciousness CyberRock covering a wide variety of styles, lyrics and ways of interpretation, ranging from Spiritual Songs, Meditation Blues, Acoustic-Poetic Songs, Life-Experience New Style Songs and Reality Rock to Space-Age CyberRock. Michel Montecrossa plays together with his musicians 'The Chosen Few' since 1992 an uninterrupted series of live concerts, each having its unique and picturesque atmosphere. Michel Montecrossa plays live every month in the Omnidiet Music-Hall in Mirapuri and in the Science Fiction Rocker Basement in Miravillage, which is part of the Michel Montecrossa Rock Vision Diner. 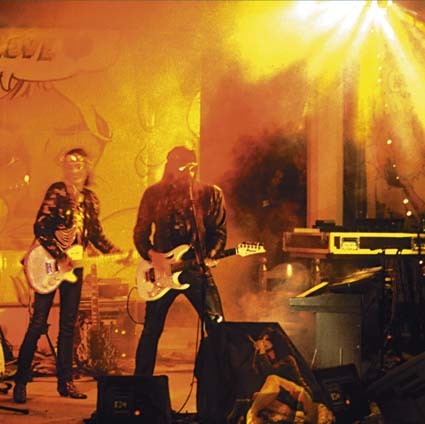 For information about the ongoing CyberRock Journey of Michel Montecrossa and The Chosen Few turn to the monthly updated Michel Montecrossa Newsletter with new releases and concert dates. In addition to the great body of his own songs and orchestral creations Michel Montecrossa also performes music of other artists like Françoise Hardy, Jimmie Rodgers, Bob Dylan, Elvis Presley and related artists. In 1993 Michel Montecrossa started the Spirit of Woodstock Festival in Mirapuri. Since then the Spirit of Woodstock Festival takes places every year in August. Its aim is to express a New Spirit of Music of courage, hope, international understanding and love, telling through song-music and lyrics of the liberation of soul and life for a new creation. The Spirit of Woodstock Festival in Mirapuri is an event which every year brings together musicians from all over the world to play together with Michel Montecrossa and The Chosen Few three days and nights for an enthusiastic audience. 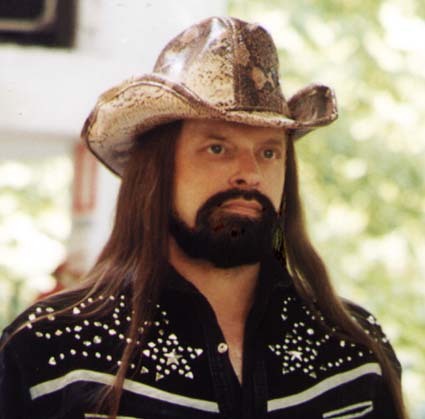 Michel Montecrossa's futuristic outlook on things is part of every aspect of his life. Mirapuri and Miravillage in their totality unite the essence of his creative energies and forms of expression: they are a holistic work of art manifesting in ever-changing and ever-renewed and often surprising and always refreshing ways the spirit of the Integral Yoga and the Ideals of Sri Aurobindo and The Mother. 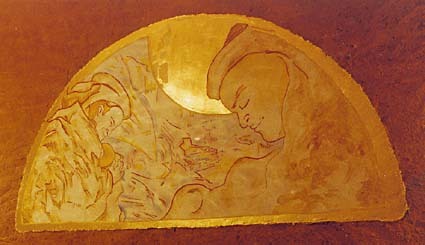 Thanks to the intense and creative years of friendship with The Mother and her many gifts and communications, as well as the continuous work for and in Mirapuri and Miravillage, Michel Montecrossa is now one of the profoundest european experts of the Integral Yoga and the life and work of Sri Aurobindo and The Mother. He expresses his vast futuristic knowledge of Yoga, Consciousness Research, Physial Transformation Training, New Psychology, Philosophy, Art, Science, Technology, Economy and Modern Management not only though his writing, songlyrics, poetry and multivarious artforms, but also through his Study Circles at the Mirapuri International Research Academy (M.I.R.A.) and Seminars in universities and educational and cultural institutions all over the world. In accordance with the will of The Mother he defines and lays down in the M.I.R.A. Study Circles the outlines and fundaments of the Future Integral Culture, uniting the different and often isolated aspects of human creative intelligence in the New Consciousness of Transformation and ever-expanding Evolution. Mirapuri and Miravillage, in their simplicity as well as in their complexity, are first prototypes for this Integral Culture in action. Within the creative environment of Mirapuri and Miravillage Michel Montecrossa is also developing a specific project which he worked out together with The Mother: the Mandala-Center of Integral Culture in Mirapuri. (In his book 'The Sunrevolution' he explains in great detail the vision, meaning and reality of the Mandala-Center of Integral Culture in Mirapuri). Another aspect of Michel Montecrossa's activities at the Mirapuri International Research Academy is the introduction into a new approach to art education, bridging the gulf between intellectual-esthetic and physical celluar experience. This New Consciousness approach to art and body-transformation was also worked out together with The Mother during the years 1970-1973 and since then grows in perfection. Thus Michel Montecrossa the Futurist brings to unfoldment in Mirapuri and Miravillage all the treasures which The Mother has embedded in his soul, so that everbody can participate in the joy and love of the New Creation. If you want to know more about the biography of Sri Aurobindo and Mira Alfassa - The Mother, read in English: 'Mirapuri - City of Peace and Futureman in Europe, Italy Vol. 1' and Vol. 2 'Mirapuri and the Sunrevolution' (also available in Italian) or in German: 'Mirapuri - Stadt des Friedens und des Zukuftsmenschen in Europa, Band 1: Grundlagen im Werk von Sri Aurobindo und Der Mutter in der Zeit von 1872-1950'. All books are available from Mirapuri-Verlag. Order from Mirapuri-Verlag on DVD the documentary movie: 'Mirapuri - City of Peace and Future Man in Europe, Italy and Miravillage - the first satellite of Mirapuri in Germany'. The futuristic Adventure of Consciousness and Joy based on the Integral Yoga of Sri Aurobindo and Mira Alfassa - The Mother. The most important work of Sri Aurobindo is his book 'Savitri' in which he describes the complete vision, way and realization of the Integral Yoga. It is available in the original english edition as well as translations into various languages from Mirapuri-Verlag. 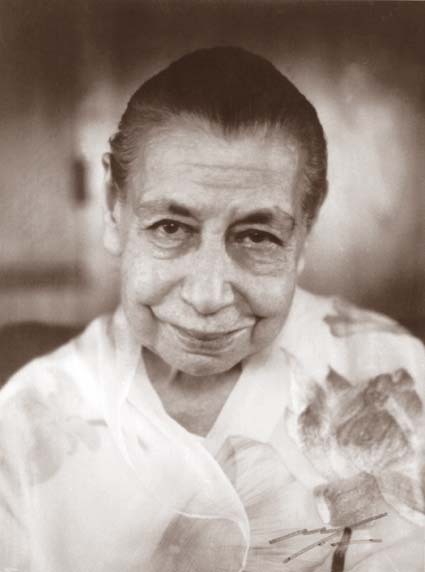 SAVITRI IS SRI AUROBINDO'S MAJOR WORK AND MOST IMPORTANT INTRODUCTION TO HIS INTEGRAL YOGA AND REALIZATION. THE 'MEDITATIONS ON SAVITRI' DVD-MOVIE-SERIES VISUALIZES SAVITRI IN 12 PARTS THROUGH IMAGES, PAINTED BY HUTA HINDOCHA, ON THE BASIS OF ORIGINAL DRAWINGS AND DETAILED INSTRUCTIONS BY THE MOTHER. THE MEDITATION ON SAVTRI MOVIES PRESENT ALL IMAGES TOGETHER WITH RECITATIONS FROM SAVITRI SPOKEN BY THE MOTHER AND ACCOMPANIED BY HER OWN ORGAN MUSIC. THE MEDITATION ON SAVITRI SERIES WAS PRODUCED AND DIRECTED BY MICHEL MONTECROSSA ON BEHALF AND WITH THE SPECIAL BLESSINGS OF THE MOTHER. See here the 'Meditations on Savitri' introduction movie.